Prodigious biomedical research efforts into sleep, the natural daily period of sustained cessation of locomotor activity and overt consciousness, have defined a multitude of functions of this biological activity that regulate the life-long physical and mental health of the individual in numerous ways. Sleep is the simple term for a very complex biological process involving multiple neural circuits in the brain that are orchestrated by circadian rhythm activities within the biological clock pacemaker system for the body, primarily located in the hypothalamus. One such mechanism by which sleep regulates health appears to be that the neurophysiological activity of sleep, regulated by the biological clock, in turn programs the biological clock system to operate “normally”. The import herein is that the biological clock regulates all the major activities of the body such as behavior, metabolism, reproduction, and immunity. Sustained disruptions to normal input signals to the biological clock system (perceived as “stress” by this neural clock network system) by any means (e.g., sustained altered sleep patterns, biochemical or environmental manipulation) alter regulatory output signals from the clock system to the body that can lead to major biological disturbances throughout the body. 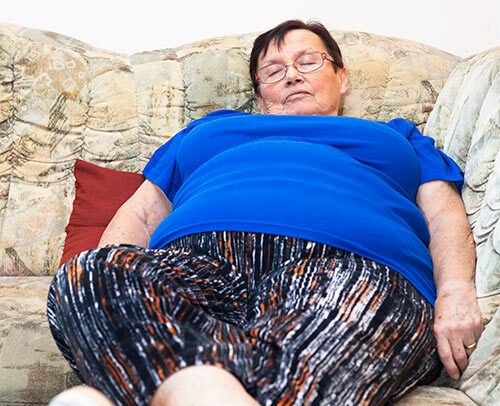 Indeed sleep alterations such as reduced sleep, extended sleep, sleep apnea, and altered sleep patterns associated with shift work have all been associated with serious cardiometabolic disease. Moreover, studies indicate that the duration of sleep as well as the quality of sleep are each important factors in regulating metabolic health. There appears to be a U-shaped curve respecting daily sleep duration and metabolic disease risk, with short (/= 9 hr) sleep durations both being associated with increased risk relative to individuals who sleep 7 hrs/day. How is it that such disparate alterations to sleep all lead to the same phenotypic metabolic profile of metabolic syndrome, a classification of metabolic status generally characterized by insulin resistance, a pro-inflammatory state, hypertension-elevated sympathetic tone, dyslipidemia, dysglycemia, and obesity (i.e., metabolic syndrome)? Possibly, clues to the answer to this question may reside within the clock system itself. Studies of vertebrate species in the wild from fish to mammals indicate that the marked annual cycle of metabolism (shifting from the lean, insulin sensitive state to the obese, insulin-resistant condition) in these species is coupled to seasonal changes in photoperiod and locomotor activity but regulated by seasonal phase shifts in circadian neural oscillation input signals to the clock system in the hypothalamus. It was found that the circadian phase relation of multiple neural input signals to the clock system differed with different seasonal metabolic conditions. Importantly, mimicking the circadian phase relations of these neural activities with specific neurotransmitter precursor administrations by daily injection of them at the appropriate times of day characteristic of any particular season could recapitulate that season’s metabolic state irrespective of the actual time of year. In other words, metabolic status is modulated to a large extent by the circadian neural programming of the clock system that regulates peripheral fuel metabolism. This endogenous system evolved imparting a survival advantage to adverse environmental conditions when food availability was predicted to be low/unavailable (i.e., during an ensuing season such as winter in the temperate zones) so that insulin resistance could support increased hepatic glucose output for the brain which has a near requirement for glucose as an energy source and the peripheral tissues could increase utilization of fatty acids from the seasonally increased fat stores as an energy source. Metabolic pathology does not develop under such circumstances inasmuch as the condition is temporary (seasonal) and disappears before any tissue damage from the metabolic syndrome can manifest. However, it appears that “stress” signals, identified as chronic aberrant environmental/internal signals to the clock such as sleep/wake cycle alterations, are processed by the clock system in a manner that sets the clock to this same seasonal metabolic survival mode (i.e., metabolic syndrome). That is, the clock’s default setting in response to “stress” is to organize its output signaling to facilitate survival—the obese, insulin-resistant state. However, since the stress is chronic the effect is to reset the clock system perpetually not seasonally in this condition and pathology ensues due to this locked-in metabolic state that converts from adaptive to maladaptive. In essence, the individual is metabolically programmed for the seasonal (e.g., winter) survival state all year long and this persistent maladaptive condition support metabolic pathology. Moreover, reinstating a normal sleep/wake cycle appropriately synchronized with the daily photoperiod may provide a potential simple method of resetting clock control of metabolism toward the normal (unstressed) condition, and thereby improve metabolism in such individuals with aberrant sleep/wake cycles. Anthony Cincotta, Ph.D. (anthony_cincotta@veroscience.com), is president, CSO and founder at VeroScience. Is Synthetic Biology a Game-Changing Technology?